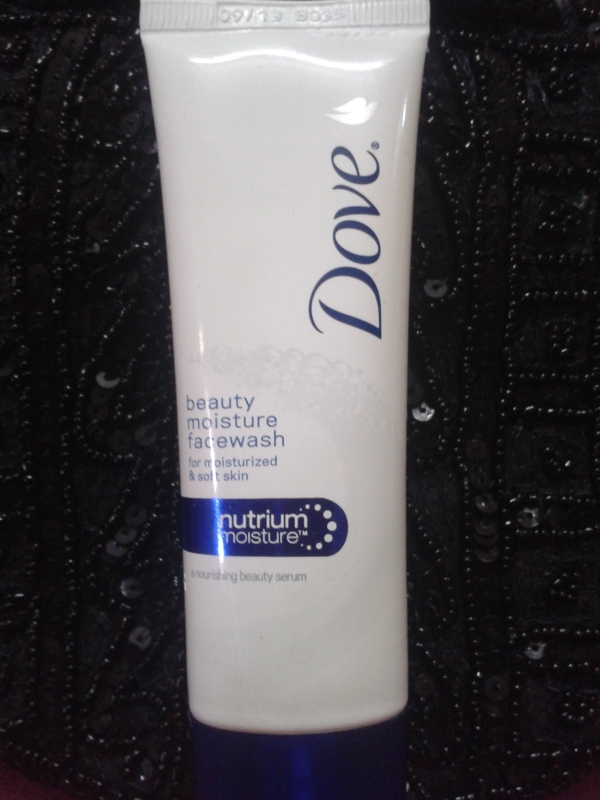 The Dove Beauty Moisture Face Wash is a foaming cleanser that is meant for Dry to Normal Skin. 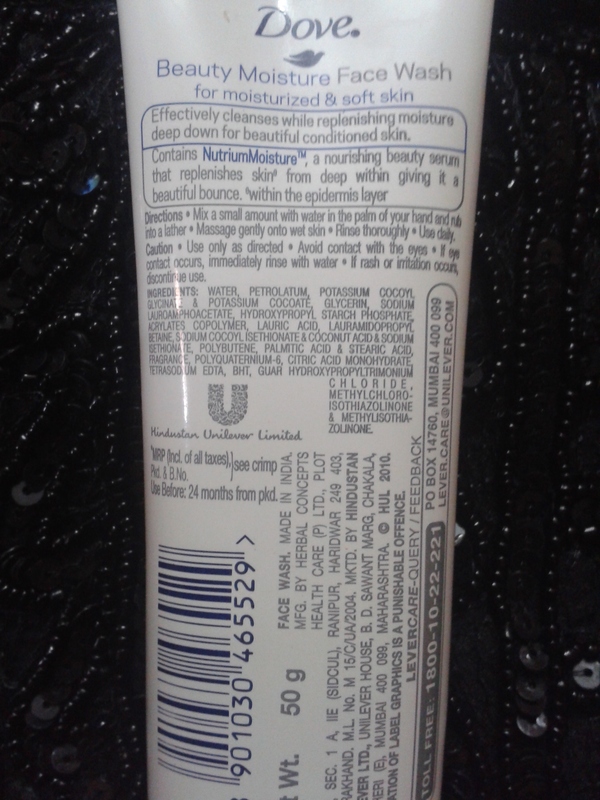 Unlike, most foaming cleansers in the market this face wash from Dove do not dry out the skin. As per the brand, the face wash contains Nutrium Moisture and ¼ moisturizing milk to replenish the skin with its lost moisture and nutrients. The face wash comes in a bright white and blue colored plastic tube packaging. The flip open cap makes the tube travel friendly and easy to use. The face wash has an alluring creamy consistency that spreads on the face like a dream. It is pearly white in color and has a very subtle Dove-like fragrance. I like the way it foams easily making a rich lather. Cleansers that foam well somehow give the feel of real cleansing. As the product claims to contain ¼ moisturizing milk, I was a little skeptical of the face wash leaving a film on my skin after rinsing. But much to my pleasant surprise, it did nothing of that sort and rinsed off really well. I felt a much cleaner, softer, and smoother skin after washing my face with Dove Beauty Moisture Face wash. True to its claim, the skin really feels supple and bouncy after using this moisturizing face wash from Dove. I also found this face wash quite good in removing light makeup. If you are like me, who prefers to use a cleanser over a makeup remover, you now have another reason to love this cleanser. It effectively removes makeup without leaving skin too dry or stretchy. However, don’t start expecting miracles! It will certainly not remove your stubborn eye makeup or kohl in a single use. Overall, it’s a wonderful moisturizing face wash from Dove. It is one of my favorite cleansers. Its amazingly softening and replenishing results can be easily compared to expensive cleansers from high end brands. And the fact, it’s a drug store product makes it worth every penny. Only drawback is, it might not be suitable for very oily skinned beauties or extremely hot climates. All in all, it’s a must have product from Dove that delivers what it claims. Sounds really good for the price! I’ll surely check it out! O yes, its very reasonably priced. Sometimes good things do turn up in economical packages. Thanks for stopping by dear.